Can you replace Touchscreen with a general screen? Due to Several Problems faced in touchscreen, users generally thinks of to replace a faulty touch screen with a non-touch screen. The series of Touchscreen Laptop mainly has options for screens and they are almost all touchscreen. Now, the best thing to do is Disable this function from Device Manage as shown below. How to Disable the Touchscreen? Click the touch screen driver. 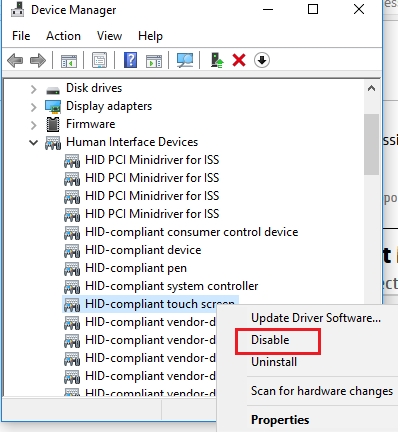 When you want your touch screen to work again, follow the process above, Except when right-clicking the touch screen driver, select Enable.